From our teleport in Europe, we provide you as end-users, your organization and your company with satellite telecommunication solution in C, Ku and Ka band. We offer the latest technologies to ensure the safety and protection of their organization, staff and property. We design, install and implement any fire detection and the extinction system. The unmanned aerial vehicles (UAVs) or drones allow you to monitor, control your properties and realize all kinds of photos, videos and maps. We are an European company with presence in Africa with large experience in satellite telecommunication and electronic security services.Thanks to our vast knowledge in these technologies, added to a highly qualified motivated staff, we represent the leaders in both areas. Carrying out any scale of installations using a variety of applications: CCTV, Anti-Intrusion, Access Control and Fire Detection & Extinguishing, to guarantee the safety and security of your organisation, property and people. We design, install and implement any fire detection and the extinction system..
May 9, 2018, Professional VSAT services provider SatADSL, satellite operator Rascom, and the teleport Global Telesat announced a new partnership to joint their business in order to offer you global IP satellite communications with adaptable bandwidth solutions. Our networks are available at various service levels and configurations, offering much-needed bandwidth in the most cost-effective manner. Under the agreement, Global Telesat will manage the services from its state-of-the-art teleport facility in Alicante, Spain. 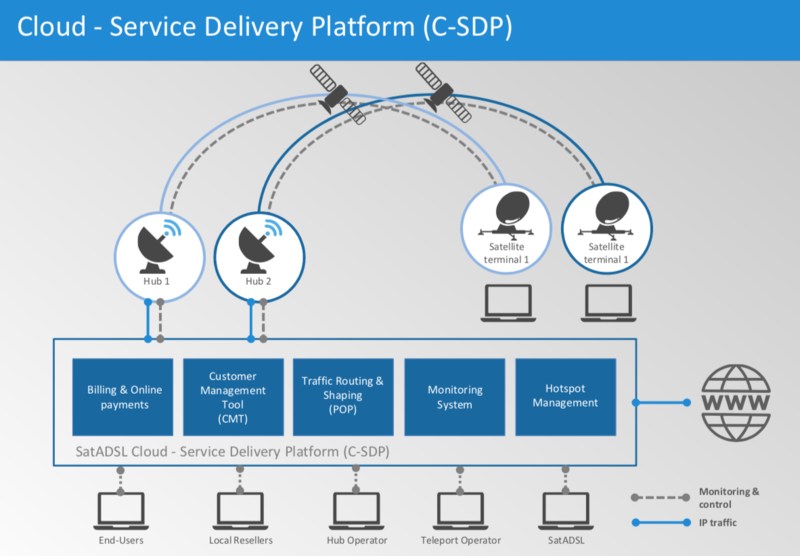 From there, Global Telesat can connect its iDirect Evolution hub to SatADSL’s innovative Cloud-based Service Delivery Platform (C-SDP), to provide a cost effective end-to-end solution, to support the day-to-day operations that leading international businesses require. We offer two service packages, a recurring monthly subscription plan with four main options that can provide dozens of possibilities, and a top up plan with vouchers which offers different options such as volume and duration, with different bit rate options. Our network and applications support international and local businesses with connectivity wherever and whenever they need it. 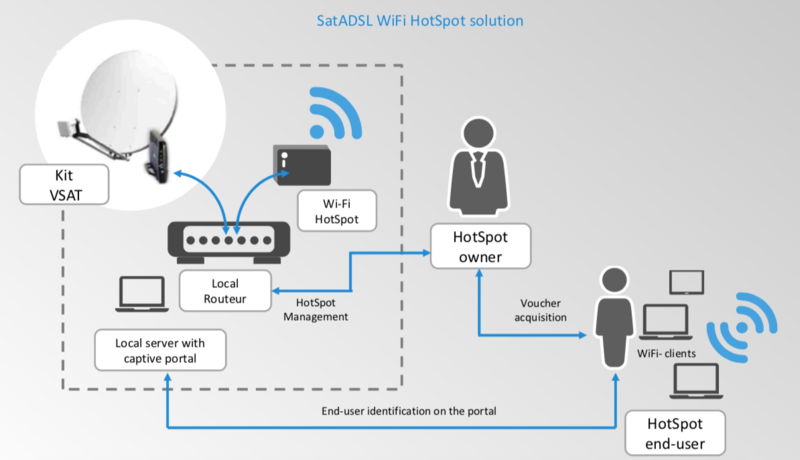 PUBLIC SECTOR & NGOS, implementing projects of public authorities: Defence, schools, hospitals, religious institutions social security, health, post offices and justice are just some of the sectors that SatADSL designs effective and adapted solutions. 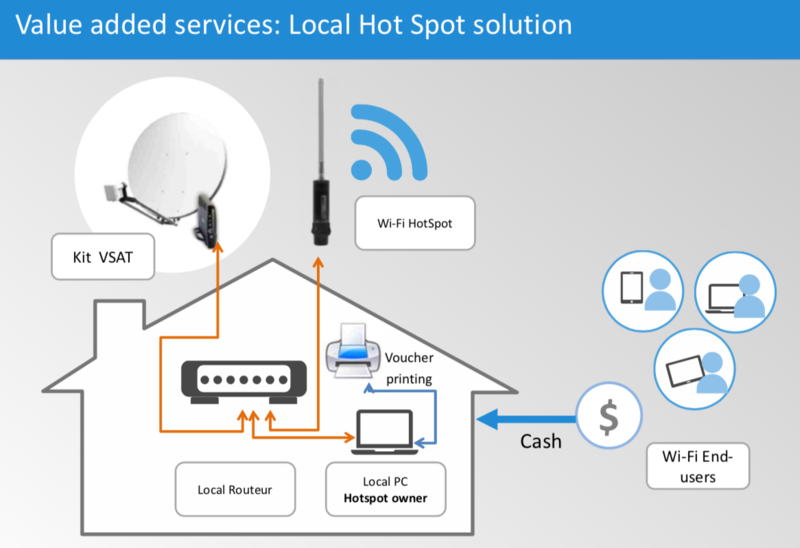 FINANCIAL SECTOR, providing secure and reliable satellite connectivity to Banks, microfinance institutions and money transfer companies as fibre backup or as main solution in rural areas. MINING, CONSTRUCTION AND OIL AND GAS INDUSTRIES: to achieve true broadband connectivity for voice, data and video services in any location of the remote branches with better operational efficiencies and lower costs, to secure their business continuity, with a uninterrupted connectivity for their IP applications – regardless of location. A satellite connection allows for permanent connectivity to prevent breakdowns in even the most remote sites, compulsory for supervisory control and data acquisition (SCADA) operations. Kumnandi Technologies becomes exclusive sole distributor of the Global Telesat services to increase the reach of its broadband services in South Africa.